Anyone who has been to Vietnam before knows that Vietnam equals traffic madness, mainly for the reason of the amount of motorbikes that are present in the country. You can visit cities, or the most deserted little towns, but motorbikes can be found anywhere. 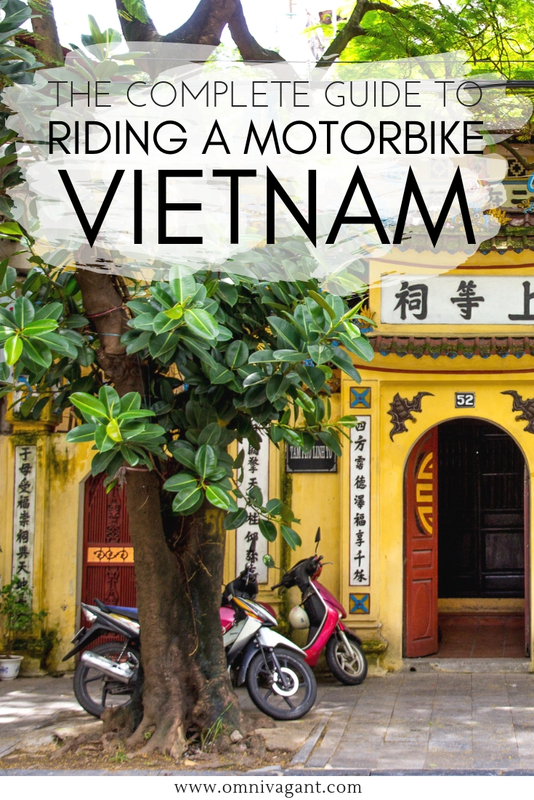 The iconic Honda Win is very famous as a backpacker’s motorbike, and riding one through Vietnam is one many people’s Southeast Asia Bucket List! For somewhere between $175 and $300 you will find yourself buying a Honda Win of a backpacker or a mechanic. Not planning to ride a motorbike? 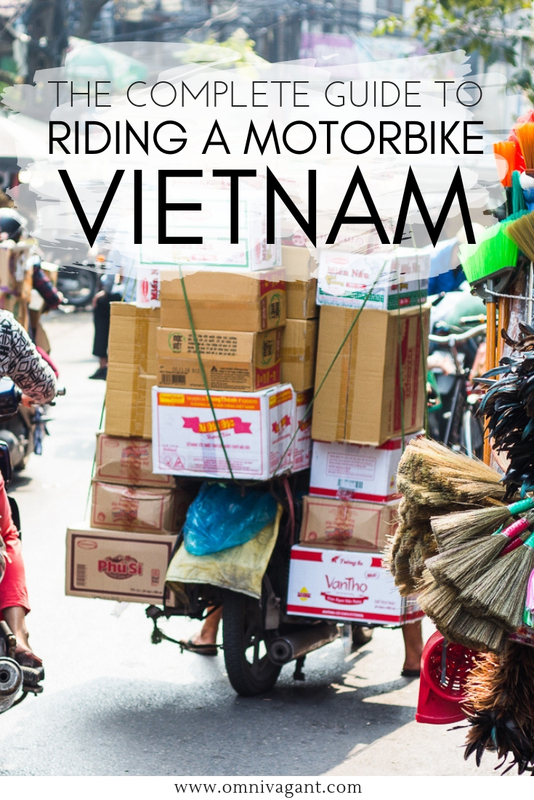 Maybe arriving in Vietnam will change your mind… so scroll down below and read about all my tips and tricks about renting, buying and riding a motorbike in Vietnam! I have bought a motorbike on my first trip, got it repaired once with a cost of 5$ during a three week adventure. However, the second time, when I realized that I would stay in the same place, in the same city, I opted to rent a bike. 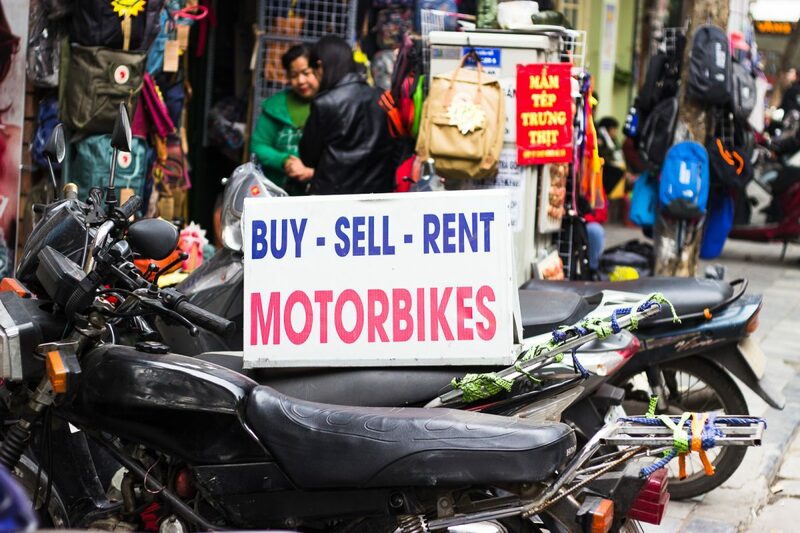 Renting a bike with any of the motorbike rental companies in Vietnam, can be as cheap as $50 a month, depending on the bike and the amount of cc’s. Service is great, and it is very careless, a perfect option for if you are staying in an area or if you return to the same location and already know when you are leaving the country again. Be aware of companies scamming you though; large deposits, claims of damages done to the bike etc. are not uncommon. But… are you traveling from North to South, have no schedule, and are looking for a bit more freedom? Then maybe buying a motorbike, even if it comes with more risk, might be the best option for you. 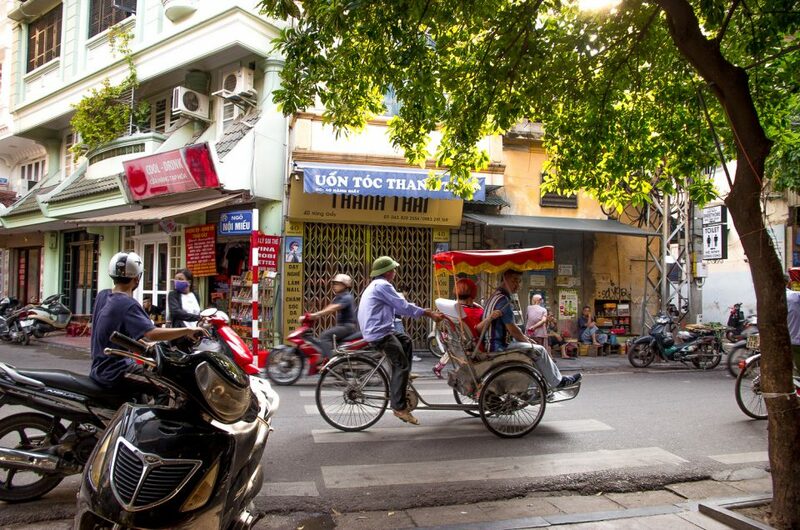 Starting your journey in Hanoi? 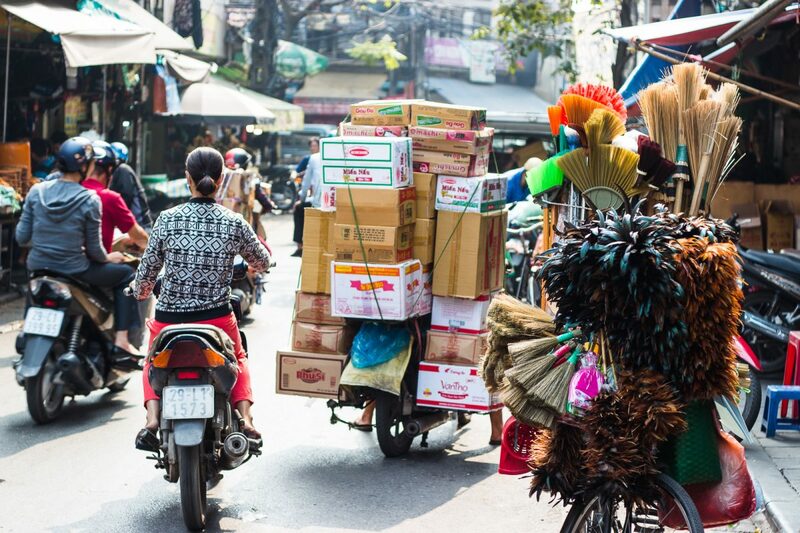 Be sure to check out our complete Hanoi travel guide! Check the profile on the tires, roads can be slippery. Are your head and back light working? Are the direction lights and break light working? Is your fuel meter working? You kinda want to know when you need to gas up again! Ask how often oil has been changed. Maybe most important: is your horn working? Are both breaks working properly, are they not too loose or too tight? Put the motorbike on a high standard to check if your back wheel does not move left and right. Do a test ride to see if you can get the motorbike in neutral (located between your 1 and 2 shift). See if the motorbike starts without its kickstart. Check to see if there are no oil stains on your engine, there should not be any oil leaking. Take a seat on your motorbike to see how the springs are, it should bounce back immediately (not yoyo). Check to see if the kickstart works, make sure to put your bike in neutral for this. Test all gears, which might mean you have to find a piece of road where you can get up to 70km/h, shifting gears should be easy. In its 4th gear a Honda Win should get up to 75km/h. Ride in all gears to make sure that the gears do not shift back to neutral (this would indicate a damaged gearbox). Check the chain and cogwheel of the bike for any damages. Sometimes it is better to pay a bit more for your bike so you feel safe and secure when driving, and you don’t spend half your journey fixing your motorbike. Feeling comfortable and safe on your bike is important, especially with the insanity of the traffic in Hanoi. So make sure everything works. Not sure? Get a mechanic to look at your bike before you start your journey! Mechanics can be found everywhere in the city of Hanoi and Ho Chi Minh, it will take you maybe half a day extra, but you will feel more safe and secure on your bike during the trip. Rules? There simply are no rules. Stick to the basics… ride on the right side of the road, keep your eyes on the road and be alert. Riding a motorbike in Vietnam is different from driving in Europe or North America, so even if you stick to the rules, 99% chance the locals next to you won’t. So be alert and stay safe! Wear a helmet. No, I am not your mom, I know, but with (1) the insanity of the traffic and (2) the amount of police checks I would strongly advice you to still wear one. Wearing a helmet is mandatory in Vietnam and not wearing one could result in unnecessary bribes paid to police officers. We all travel on a budget, that money can be spend in better places. Use your direction lights, everyone tailgates in Vietnam, you can’t get around it. So make it a bit easier and safer for the person behind you and use those direction lights on time. Honk. Honkhonkhonkhonkhonkhonkhonkhonkhonkhonk. Honk at least 1000 times a minute, you cannot go riding around Vietnam without honking. Honk because someone is going to slow, because they go a bit to the left or right, because the light is green and they are not riding the first millisecond, or just because you feel like it. Join the Honking Games! Okay, now without joking, everyone honks every two seconds, for absolutely no reason. People will surpass you from the left and the right, cars will come in your lane, every honks at you… this is all common. Just make sure to stay calm and keep your focus on the road! 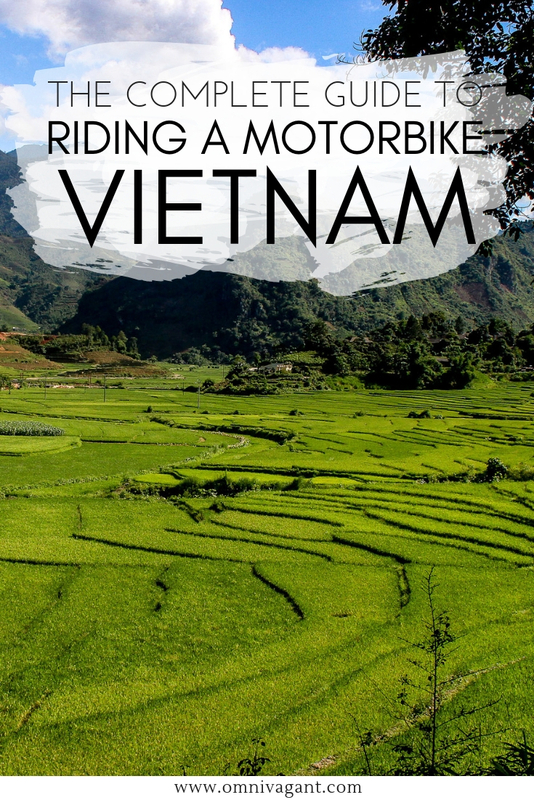 Riding a Motorbike in Vietnam: Important! Riding any bike above 50cc (which is basically any bike) is illegal for foreigners in Vietnam. And yes, everyone still does it, including me, but it does come with some risks. Riding a bike above 50cc means you are doing something illegal; high chance that if you get involved in an accident your health insurance might not cover the bill, so be sure to check this out before hand! 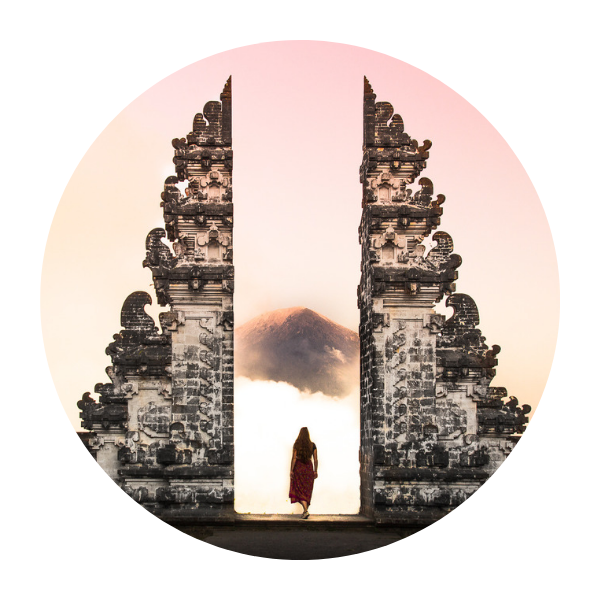 A little bit more about this, as an example, can be read on World Nomads, one of the biggest travel insurers out there. Riding a bike comes with a lot of risk, especially if you are not an experienced driver or have never driven in Southeast Asia before. Accidents happen, and fatal accidents have happened in the past in Vietnam, especially in the Northern Regions. So before you buy your bike and start your adventure, be sure you are aware of the risks. That said, cops obviously know that riding a bike above 50cc is illegal, hence another opportunity to bribe you if they do see you. You might not get stopped, you might get stopped 20 times. So just to be smart, put that big roll of millions of Dong deep in your backpack. 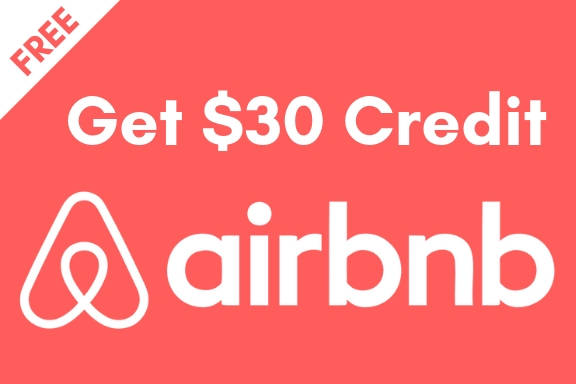 Keep an equivalent of something between 200.000 to 500.000 Dong in your wallet. In that case, if you do get stopped, just state that this is all the money you have. Be nice, smile, and offer them those 10$, it will most likely be the easiest thing to do. A raincoat or poncho, yes it can rain in Vietnam. Suncream for when the sun in shining. A jacket if you are riding in winter months or going higher up into the hills. A lock for locking up your bike at night (or in sketchy places). Multi tool to change the oil yourself or secure that mirror back on. Bungee cords and a rain cover to secure and protect your backpack. A sim card with internet data and a battery pack. Enough water to last you for a day. The most written trail is from North to South, or vice versa, from Hanoi to Ho Chi Minh City. Between these two cities you can find the famous Ho Chi Minh Highway. However, following this road might not lead you to all the places you want to visit. I would definitely recommend visiting Phong Nha, Hoi An and Da Lat besides the start/end points of Hanoi and HCMC. If you have a little bit more time and am not done with your motorbike yet, consider exploring the North to see beautiful places such as Sa Pa or Halong Bay. 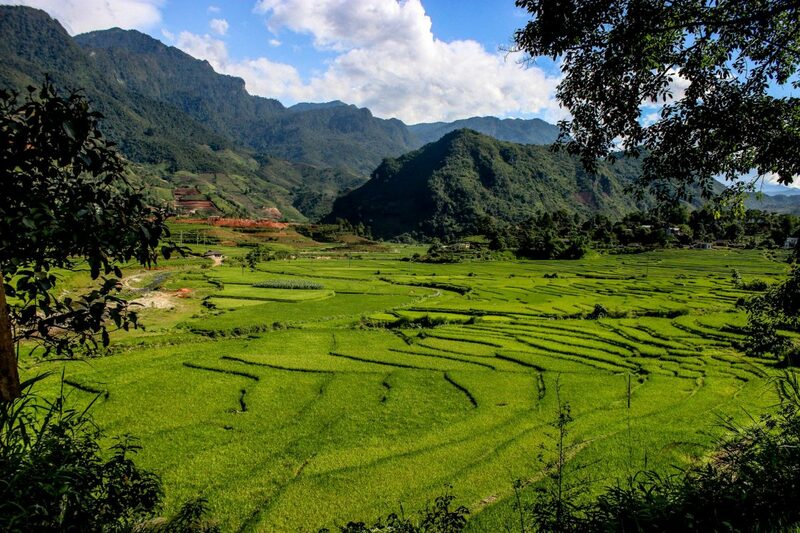 Another area that is becoming more popular for backpackers is the Ha Giang area; an area situated in the North of Vietnam that is home to some of the most beautiful mountainous scenery! If you are planning your route through Vietnam be sure to check out Vietnam Coracle. 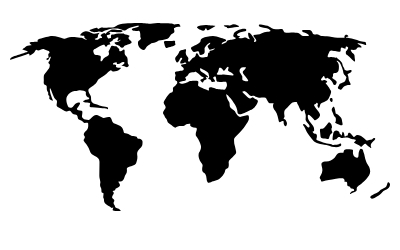 Here you can find loads of routes and off the beaten path travel guides. Now the question is, how are you finding your way in a country you don’t speak the language? Well that is why I would advice you to buy a sim card with internet data and bring a battery pack with you. So far, out of experience Google Maps has been the most reliable source for finding the way around. Do note that you have to almost double the time as given, even with a motorbike you tend to travel slower than cars. Planning on going a bit off the path? Download the app maps.me , an offline maps app. So far, maps.me has been one of my favorite apps for riding motorbikes around Asia! 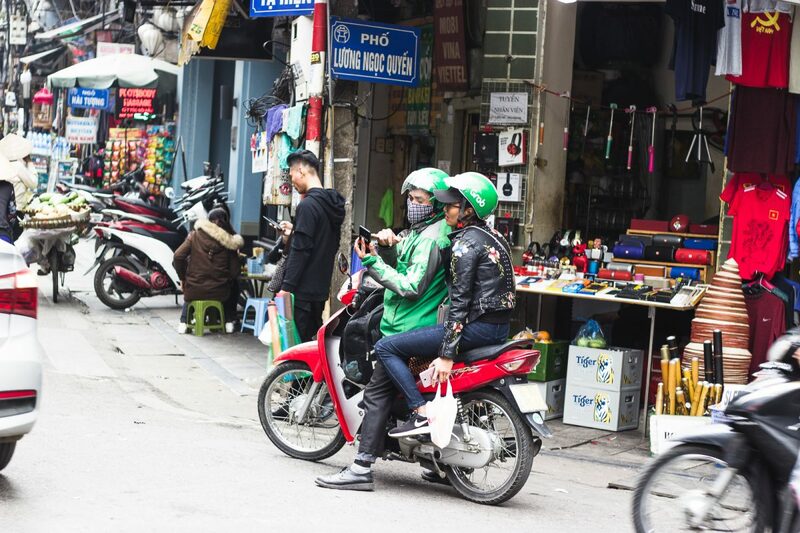 You now have all information on riding a motorbike in Vietnam. Yes, it might be a bit risky concerning safety and costs, but there still is a reason why such a large part of backpackers decide to get a motorbike. To us it is a feeling of freedom, the opportunity to stop anywhere you like and discover places the bus and train companies don’t go. We might regret our decision once or twice when that bike breaks down, but it is the feeling of adventure that got us out there. No matter what you decide to go for, we can’t stress enough that accidents happen, safety first. Looking for more information about Vietnam? 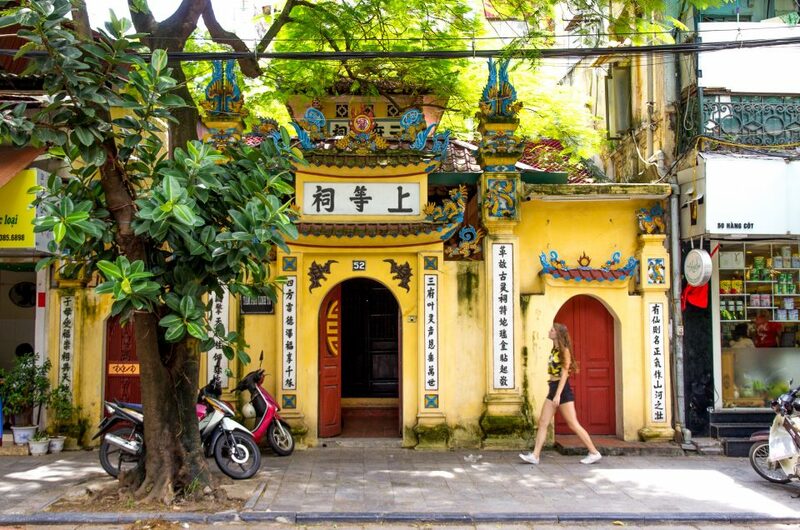 Don’t forget to check out our complete Vietnam travel guide! Oh, and don’t forget to pin it! Awesome!! Bookmarking this for when I get over to Vietnam and wanna see everything!! Thanks Jackie! Happy you liked it, riding a motorbike in Vietnam is such a recommended adventure! I was just too scared to rent a motorbike because I’m often worried about the traffic ! Oh that is very understandable in Vietnam! Traffic in Vietnam is one of the craziest I have seen! This was such a helpful post- thanks for sharing! Vietnam sounds amazing, hoping to travel there but the motorbiking thing does scare me. Hope to face the fear soon! Thanks Kate! Vietnam is beautiful, be sure to check out my country guide if you end up going. But yes, riding a motorbike sure isn’t for everyone. 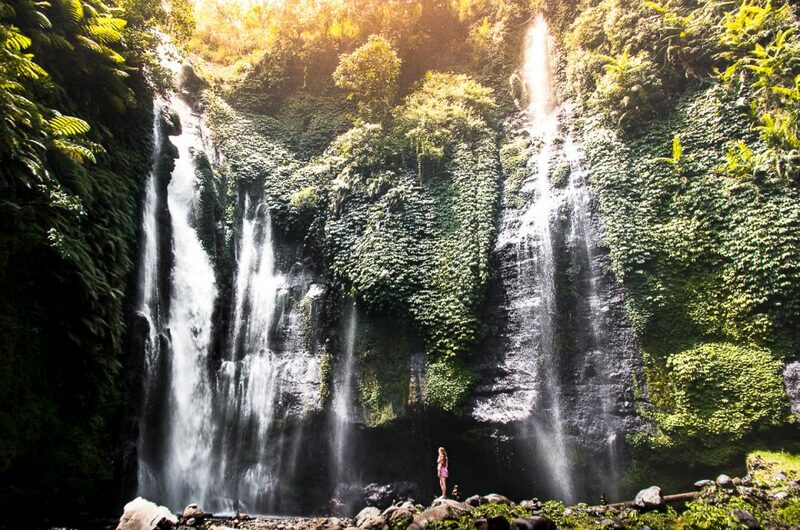 Luckily there are so many other options to explore this beautiful country <3! I totally did this too! It’s really the best way to see the country. I did the Hai Van (sp) pass and it was incredible. I love motorbikes and your tips are spot on! This is a good article – congratulations. Having lived and worked in both Hanoi and HCMC for around 5 years now, I would really emphasize the requirement to wear a helmet. In HCMC this is strictly enforced (along with at least one mirror on your bike), however in Hanoi it’s much more lax and I’ve seen so many backpackers riding around copying the Vietnamese with no helmets and even headphones! Come on! Think! Would you do this in Europe? Of course not! 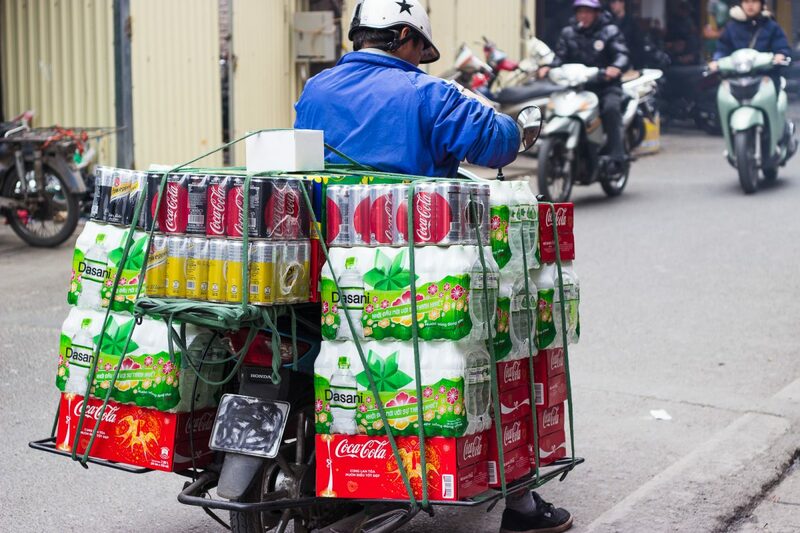 And you think it’s safer in Hanoi??? I’ve seen so many bike accidents in my time in both cities and some have been extremely grisly…. all the serious ones involved no helmet for that rider or their passenger. Thanks Samir! I have to agree with you, I have seen so many people riding without a helmet (both local and tourist) and it is just unsafe. It is one of the main rules to follow to ensure your own safety should anything bad happen. A great tip for future bike riders! Thanks again for sharing.